Please use the contact knowledge provided at every single pool profile to check if they're offering aquagym lessons, since isn't so common to see an Aquagym in Mozambique. The most beneficial selection throughout your visit to Mozambique will probably be droping by a Mozambique Swimming Pool. Thanks to some new pools submitted by swimmers like you, Swimia.com is increasing within the daily number of stored pools. Please do not hesitate to contact us in case you come across any Mozambique Swimming Pool with inaccurate or incomplete information. 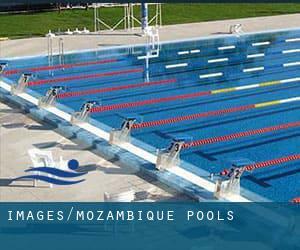 If you will be looking for Mozambique Pools, it's great to know many of them belong to gyms or sports centres which also offer lessons. Get informed by calling the premises. Do you know of any Pools in Spain that ought to be listed here? Contact us!. Before trying any pool, ensure you know the rules and regulations for Mozambique Pools as they may not be the same as in your residence town. We suggest you contact the pool directly to ask when you will require a hat, and what type of footwear or particular clothing you will need. One with the advantages of outdoor swimming in Mozambique will be the possibility to sunbathe in the course of the summer season. Taking it with extra care, sunbathing is healthful since introduces Vitamin D into the body, so the ideal option seems to be switching amongst indoor and outdoor pools based on the season. It's difficult to visit Mozambique without having dropping by Nampula (with 388.526 residents). Currently Swimia is showing you all the Swimming Pool in Nampula as well as the closest pools situated in its vicinity. Without a shadow of a doubt, swimming in Maputo will be the greatest way to unwind following perform. 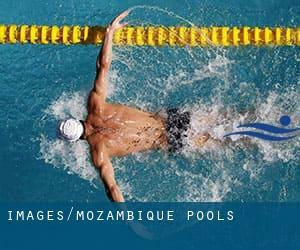 Take a couple of minutes to browse Swimia's catalog to find a Swimming Pool in Maputo. Let us tell you a secret to switch off even though you will be in Beira: just select a Pool in Beira and plunge into the water! There's no a lot more effective method. Whereas Matola is one of the six most populous cities in Mozambique with almost 543.907 residents, you shouldn't miss that one if you're going to Mozambique. Updated on 2019 Av. Marginal , Maputo . Swimmers like you reported 25 meters, Outdoors. Phone number and e-mail address are number for this Pool. Avenida FPLM , Praia do Macuti , Beira . This sports centre gives 25 meters, Outdoors. For this Pool, only phone number is number here. Rua de Bagamoyo 3 , Beira . Swimmers like you reported Olympic size, 10 lanes, Outdoors. Unfortunately we do not have the e-mail address of this Swimming Pool, but we can give you the phone number.